“I would have been a millionaire today if I had bent to prejudice.” So said George Thomas Downing, prominent African American Rhode Island restaurateur and civil rights champion. From behind the curtains of his lavish Sea Girt Hotel, built on this site in 1854 and destroyed by arson just six years later, Downing fought against racial injustice in a life-long struggle that would eventually ruin his fortunes and cause the demise of his hotel. George T. Downing was born in New York City, in 1819, into a family of successful restaurateurs. His father, Thomas Downing, helped elevate the city’s street snack, the oyster, into the world of fine dining. His luxurious Wall Street oyster house served pickled oysters and jellied turkeys to Charles Dickens, Queen Victoria, and the city’s elite. George owned his own restaurant in New York City before moving to Newport in the 1840s to open an offshoot of his father’s oyster house, catering to big city gentry on holiday. The oyster house has a long history in African American heritage, particularly in Rhode Island. Emmanuel Manna Bernoon, an emancipated slave, had opened one of the first restaurants in the United States, an oyster and ale house, in 1736 on Towne Street (now Main Street) in Providence. By the 1840s, oysters had become a shared passion for rich and poor. For many black entrepreneurs like Downing, oysters became the foundation on which they built their culinary empire. The Sea Girt served the community until an arsonist burned it down ten days before Christmas in 1860. While the culprit was never caught, many believed that the fires were lit in retaliation for Downing’s staunch advocacy of civil rights. A “race man” like his father and grandfather before him, Downing was keenly interested in the treatment of African Americans. 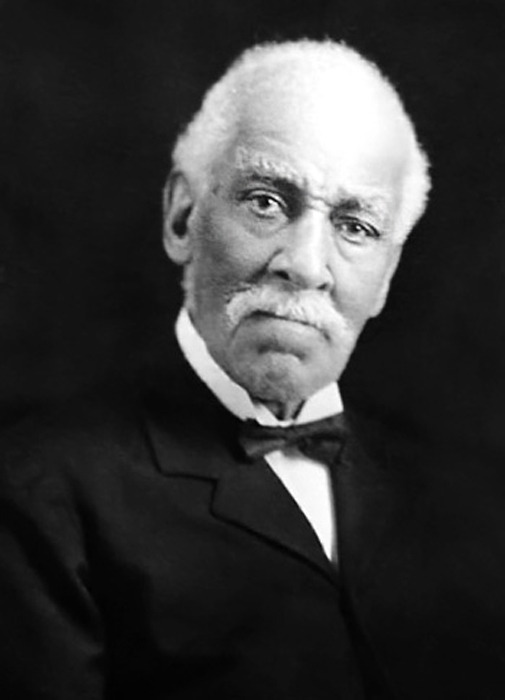 As one of America’s earliest civil rights activists, Downing led the campaign for the desegregation of Newport schools and was instrumental in getting the first African American into the Diplomatic Corps. His political concerns led him to Washington, where he made alliances with white abolitionists and other African American activists. In 1865, he became the manager of the Members’ Dining Room for the U.S. House of Representatives, a position he held for twelve years. There, he was able to wield his influence through political ties and friendships, such as the one he shared with Charles Sumner of Massachusetts. During his time in Washington, he worked for the passage of public accommodation laws in the capital city. George T. Downing: George T. Downing came from a long line of restaurateurs and successful businessmen. In later life, Downing would be known as much for his political influence as his food. 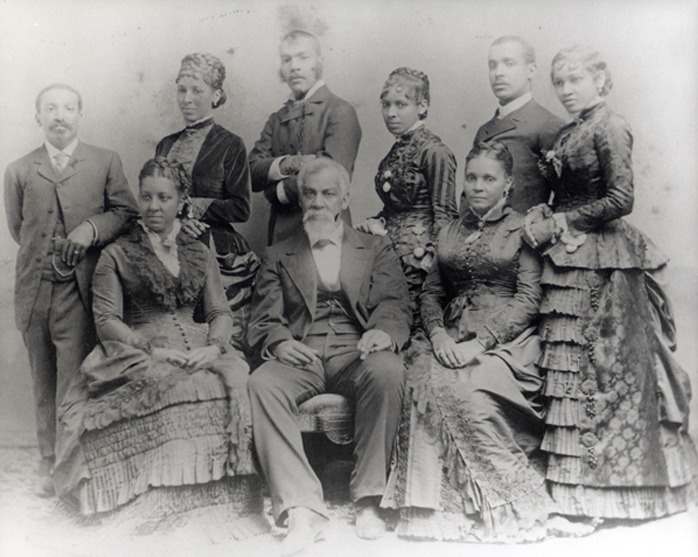 Downing Family: Geroge T. Downing poses with members of his family in the late nineteenth century. The Members Dining Room in Washington, DC: Described as "Downing's Restaurant" the the Members Dining room for the United States Congress was considered among the finest of Washington establishments in the post-Civil War years. May Wijaya, “The World was his Oyster,” Rhode Tour, accessed April 23, 2019, http://rhodetour.org/items/show/41. Dimmick, R. “Opening the Oyster: George T. Downing and African American Catering in Rhode Island.” http://ediblerhody.com.